User (u) - The user who owns the file. Group (g) - Users belonging to the file's defined ownership group. Others (o) - Everyone else. You will see that you now get lots of details about the contents of your directory, similar to the example above. 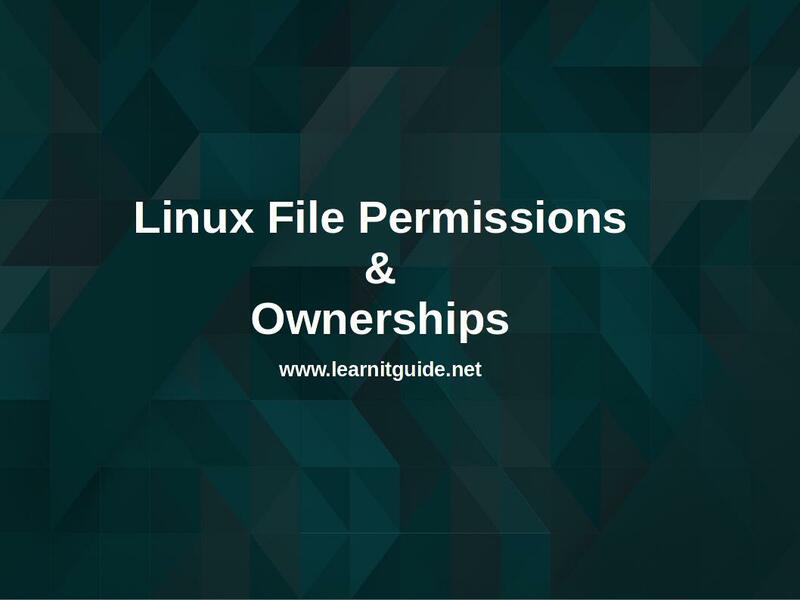 With respect to Linux file permissions and Ownership, We need to consider the First, Third and Fourth Column of the file or folders. First Column represents the file permissions. Third Column represents the Owner name of the file or folder. Fourth Column represents the Group name of the file or folder. rwx - The file owner "selva" can read, write and Execute this file. r-x - Anyone in the group "dba" can read and execute this file, but no write access. r-- - Any other users can read this file, but no write or execute access. In short, We can also represent the permissions rwx as number "7" (read=4, Write=2, execute=1), so we had the file permission of the file1 as below. So we can specify it as 754. How to set or change default UMASK for all the new users? The UMASK value can be set in /etc/profile for all the new users. Open this file as root user and write below line in the file. Fourth Value (4) - To set the Permissions for everyone. How to convert the UMASK Value into file permissions? 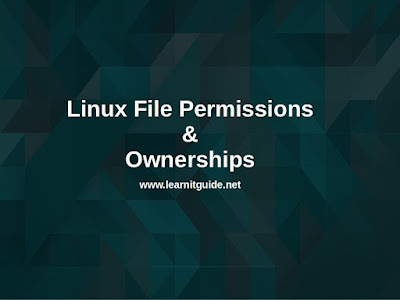 How to change the file permissions in linux? We can the change/modify the file permissions of files or folders using the command "chmod" with either Symbolic values (Example rwx) or Octal values (Example 421) as below. Example : Set a full permission for owner and read permission for group and others which means remove all other permissions of the file1. Use the chown command to modify the owner and group name of the file or folder as below. Example : Lets take the below ls -l output. Change the owner name of the file from selva to karthik and group name from dba to admin. Finally check the ls -l output. Thats all about linux basic default file permissions and ownership.